So, you have planned out your cruise to Jamaica from Florida. What do you plan to do once you get there? This is where we come in. Once you have planned out one of the Caribbean cruises that match what you envision your vacation to be, it’s time to find the best of the Jamaica Cruise excursions. You will find that there are many fun things to do in Montego Bay and they offer some of the best Jamaica cruise excursions. 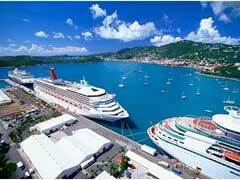 Here, we have compiled a list of the very best Jamaica cruise excursions. 1. Dunn’s River Falls Tour – This is one of the most popular of the Jamaica cruise excursions. You will be able to climb the falls where you will enjoy magnificent views. You may also enjoy standing under the falls while you enjoy a massage by nature. 2. Montego Bay Catamaran Tour – Guests can enjoy riding these catamarans manned by experienced guides. They will be able to stop at the reef and explore the coral as the snorkel. 3. Beach Horseback Riding – This is a must do during any of the Western Caribbean cruises. You will ride your horse down to the Caribbean Sea where you will be able to swim with the horse. 4. River Rafting Adventure – Enjoy a relaxing ride on long rafts downstream. 5. Parasailing and Wave Runners – You can either enjoy the fast pace of a jet ski or enjoy parasailing over your cruise ship. 6. Snorkeling Adventure – Enjoy the beautiful beaches of Jamaica as you snorkel. 7. Jamaica Zip Line – You will have your choice of 4 zip lines including the 1200 ft. line and the 80 ft. swing named “the screamer”. These are sure to get our heartbeat up. 8. River Tubing – enjoy floating down White River on an inner tube. 9. Bob Marley Nine Mile Tour – This is a must do if you have even a passing interest in Bob Marley. You will be able to experience the childhood home and resting place of the reggae legend. 10. Ocho Rios ATV Adventure – This is one of the best things to do in Ocho Rios. You will enjoy beautiful views as you ride through the serenity of hilltop property. It is clear that when planning one of the Jamaica cruise excursions, there is much to do and everyone is guaranteed to have a ball.